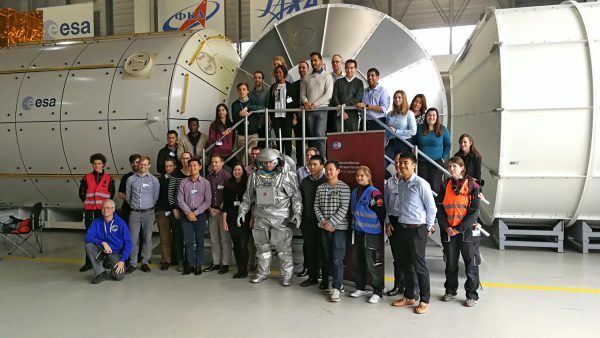 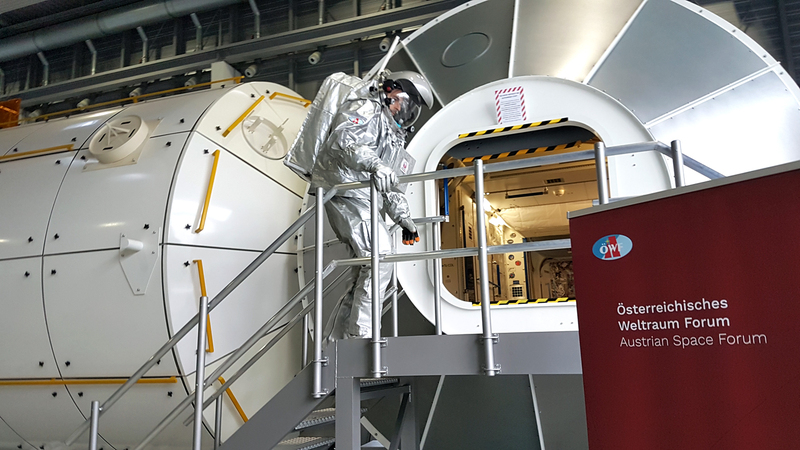 On Monday, a team of the Austrian Space Forum demonstrated the Aouda.X spacesuit simulator to students at the European Astronaut Center in Cologne Germany. 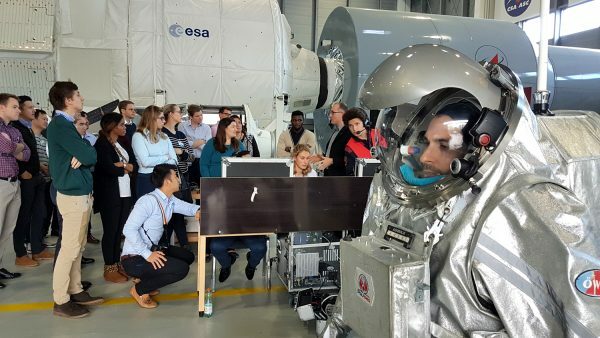 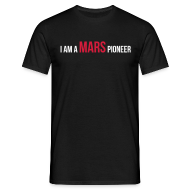 As part of their post-graduate education “Diploma in Aviation Medicine”, they learnend about the international OeWF Mars simulations and got a chance to witness a full donning with our analog astronaut Joao Lousada from Portugal. 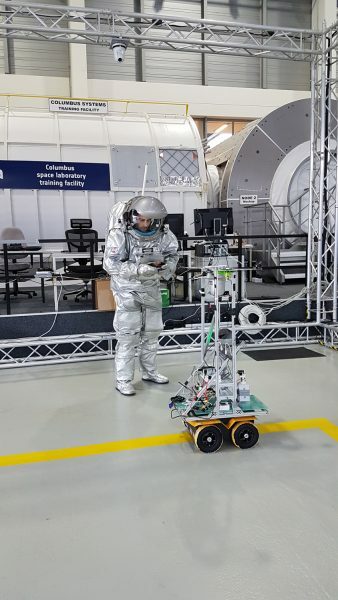 In a small exercise they even got the chance to staff the operations console, monitor the biomedical telemetry of the suit during a training exercise and talk the analog astronaut through procedures.